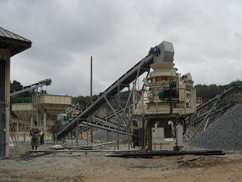 Justmac ventures, one of the largest quarries in Ghana had to wait for 90 days to order parts for their Nakayama plant. This was costing the company lots of money due to the long down time for the machine. Justmac ventures got in touch with us and we were able to provide a solution for them by linking them up with one of our UK suppliers. Now apart from having 1 year consumables on site, manage plant is able to get the adhoc parts to them within 5 days . This has helped Justmac ventures to plan ahead, maximised their equipment thereby making more profit. Imperial Homes is a premier real estate developer in Ghana focusing on developing luxurious properties in Ghana. Imperial Homes has high standards for their properties and to maintain these standards, they have partnered with Manage Plant to source parts for their equipment. We have helped them in sourcing high quality construction equipment and materials. Our close partnership has meant Imperial Homes can concentrate on the construction and Manage plant concentrate on looking after their equipment for them. 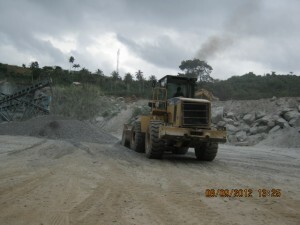 Justmoh Construction LTD is a leading road contractor in Ghana dealing with multi mullion dollars projects in Ghana. We were approached by Justmoh to help in solving their problem of having to wait 4 to 6 weeks to source their parts and inconsistencies in the information provided by local dealers did not help. They also had to go to Accra to order their parts even though most of the sites are in the remote parts of Ghana. With the quality of service Manage Plant has provided them with , they do not need to go to Accra to order their parts and wait 4 to 6 weeks and then go back to Accra to collect the order. All they have to do is contact Manage Plant from their site irrespective of where they are, Manage Plant will then send the part to them to their site within 5 days. No need to make 2 journeys to Accra. The feedback from the CEO Mr Justice Amoh was “I have never known such an excellent level of service. Speed and quality is truly your hallmark”.